It's that sunset time of year again, when the year is all but done, and you can "down tools", stop looking ahead, maybe glance back over the last 12 months and appreciate what's around you right now. Like a home-cooked meal with friends, an early morning surf with the sun in your eyes, frangipanis on the footpath on your way back from the beach. My year has been more earth-bound than usual, in an attempt to reduce my travel footprint, to regroup and to reconnect with the place I live in. I think it's worked. It's also made me more aware of the impermanence of everything and how quickly things can change - but doesn't that just make you appreciate them all the more? So here's my highlights reel for 2012 (and links to blog posts and stories about them). Thanks, 2012! 1. 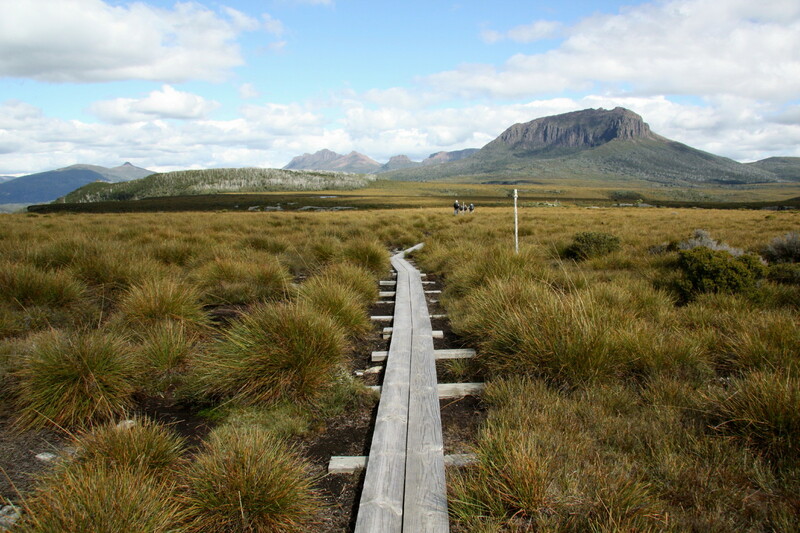 Walking the Overland Track, in Tasmania - specifically, swimming across an ice-cold mountain lake (in mid-summer) to a small island where, inside a rusted saucepan, there was a visitors book, and a pen. I held the pen with shivering fingers and wrote, “I love it here”, my name and the date. And wading through thigh-deep mud on a side-trip up Mt Oakleigh, to the blue-sky Tasmanian views. 2. 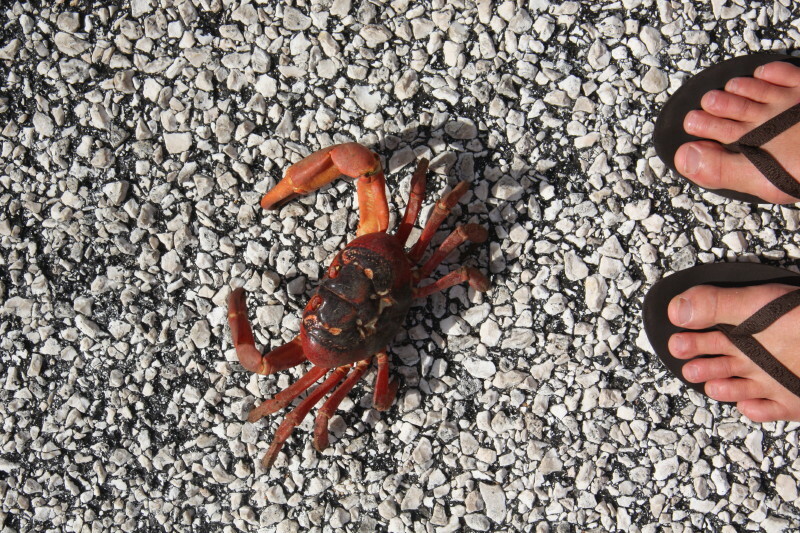 Visiting Christmas Island and loving its down-to-earth beauty. In a delightful bit of synchronicity, I got to spend Earth Hour there – swimming by (beeswax) candlelight in a sea cave called The Grotto with three other like-minded travel writers. 3. A weekend camping trip with the river red gums on the banks of the Murrumbidgee River in south-western NSW. Love those trees. 4. 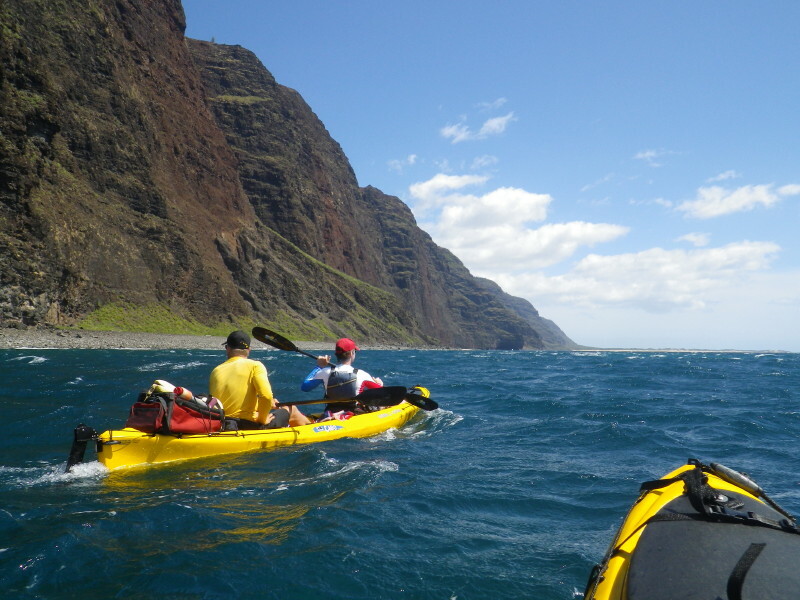 Kayaking the wildly rugged Na Pali coast on the Hawaiian Island of Kauai, called (a little ambitiously) the Everest of sea kayaking trips. 5. 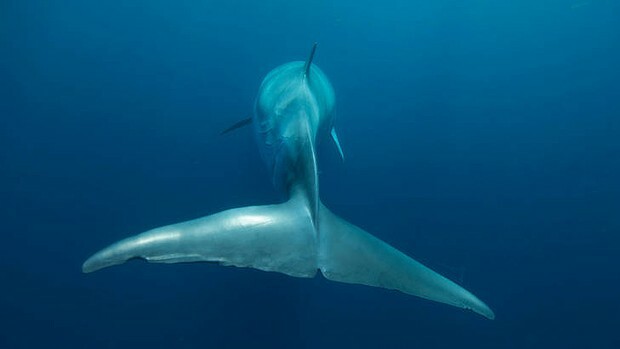 Swimming with 16 minke whales on the northern end of the Great Barrier Reef off Lizard Island. Wildlife encounters don't get much better than this. 6. Cruising the Kimberley coast, something I've long wanted to do. 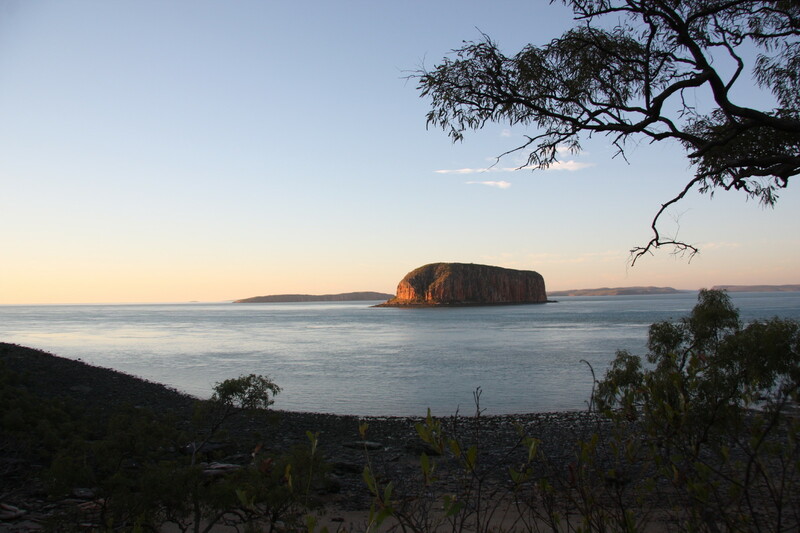 There was more swimming (this time in aquamarine, croc-riddled waters and under bellowing waterfalls), beach barbecues, rust-red cliffs, ancient Bradshaw rock art and serene mornings on deck watching the sun rise over the land. 7. Surfing in Lombok, Indonesia, and a barefoot black-tie dinner on the beach where (permit me a moment of immodesty) I won the ASTW's highest honour, the 2012 Travel Writer of the Year award. 8. Moving house – within the house. A rollercoaster of a mind-ride. A cathartic culling of "stuff". A new, energy-efficient fridge (while the old inefficient one was carted off to fridge heaven, to be recycled, thanks to the Fridge Buyback Scheme). A peaceful new home. 9. 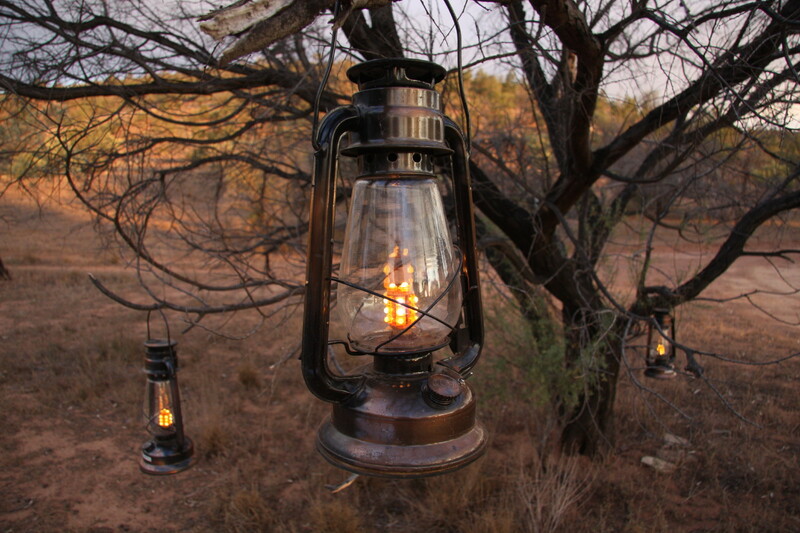 Walking in the South Australian outback, seeing wildlife galore, sleeping under the stars in luxury swags on a tourism-funded conservation project called the Arkaba Walk. 10. Having time to just be, here in a part of Sydney that often doesn't feel like it's part of a city of 4.5 million people - not when you're swimming in crystal-clear water, paddleboarding past sea lions, surfing with dolphins and seeing whales from the Manly ferry. I feel very fortunate indeed to live in such a naturally beautiful place. Big thanks to everyone who shared these experiences with me - whether in real time or through reading my stories and blog posts - and to those who made them possible. * This is a carbon-neutral blog post. All flights were offset with Climate Friendly.